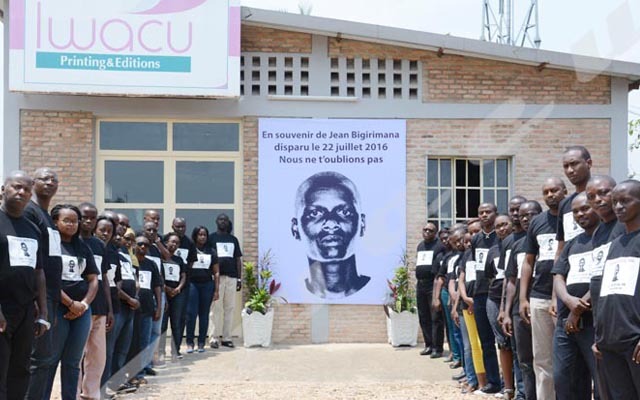 While the World Cancer Day is normally celebrated on March 4th each year, Burundi celebrated it on Friday, March 2nd. Health professionals say they recognize the lack of prevention policies, specialists and material for cancer treatment. “There are no functioning cancer record books to monitor trends in cancer incidence, prevalence, and mortality,” said Senkomo Elam, Permanent Secretary at the Ministry of Public Health. He also says Burundi hasn’t yet got strategies to fight against this disease. “Only cervical cancer is detected and treated”, he says, adding that there is also a vaccine against this cervical cancer for girls aged between 9 and 13. Senkomo says prevention remains the only effective way to fight cancer. He deplores the fact that patients are diagnosed very late when curative treatment is no longer possible. “Detecting and treating cases early can reduce cancer mortality. Unfortunately, it is very rare in underdeveloped countries”. Senkomo says there are medical staff and specialists who are being trained to take care of patients and prevent major cancers. He calls on the government to sustain this policy of fight against cancer. Ruhanamirindi Bisimwa, World Health Organization representative’s envoy, estimates that 8.8 million people die of cancer every year worldwide. This means that almost one in six deaths is due to cancer. “The cancer death rate would moreover double by 2030, “he says. He also says less than 30 percent of low-income countries do not have access to cancer diagnosis and treatment. “The burden of cancer in Africa is expected to increase because of the aging population”, he says. Overweight, obesity, physical inactivity, alcohol and tobacco abuse, and low fruit and vegetable consumption are some of the factors that explain the increasing frequency of the disease in the world.